« Thank you, May I have another? This entry was posted on December 3, 2009 at 1:52 pm and is filed under General WoW. You can subscribe via RSS 2.0 feed to this post's comments. Oh my God. 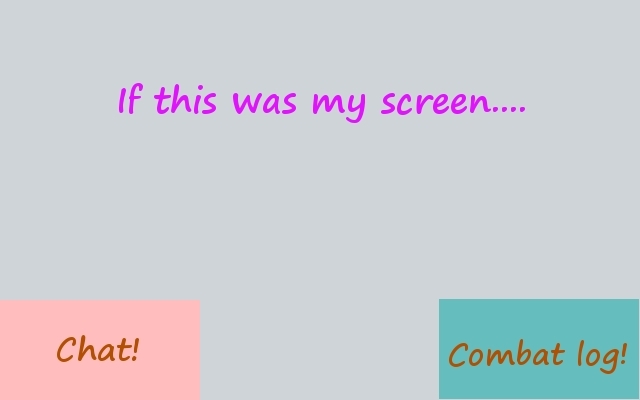 Please make more posts like this for those of us who are severely retarded and try to change our UIs by drooling emphatically on our keyboard whilst poking our nose repeatedly against the computer screen. I have long wanted to fix my combat log so that it’s, oh i don’t know, USEFUL, but I needed step by step visual instructions on how to do it. You are my hero. Okay, enough worshipping at your feet. With these settings, will I still need to shuffle through the vast amounts of “Power Word: Awesome Fades from Jessabelle” that all seem to follow after my death? I hate how it lists all the different buffs I had that disappear after I die. Seriously, I’m dead. I know. I get it. I just want to know HOW I died without shuffling through 18 pages of faded buffs. Best. Post. Ever. Maybe people’ll stop bugging me to link my death logs. What do you use for your death logs, by the way? Do you use the Recount option? I use recount and World of Logs for Death Analysis. 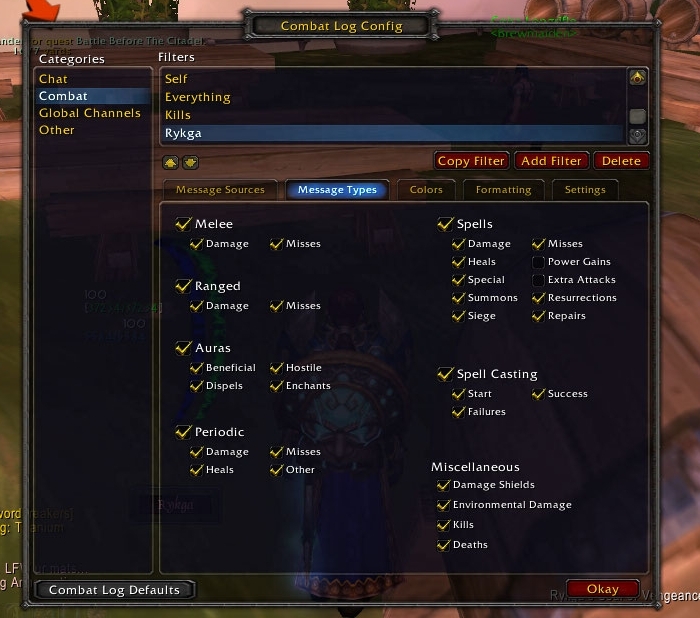 Where modifying the combat log display truly shines is world pvp. I have a “Horde Hunter” setting which screens out anything except what nearby horde players are doing. 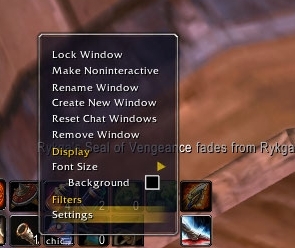 So if a horde player gains mana from a blessing, has a buff go up or fall off, pretty much anything, I know their name, and what they’re trying. Quick /tar gives me their location, and then I have the initiative. Oh that is very cool! 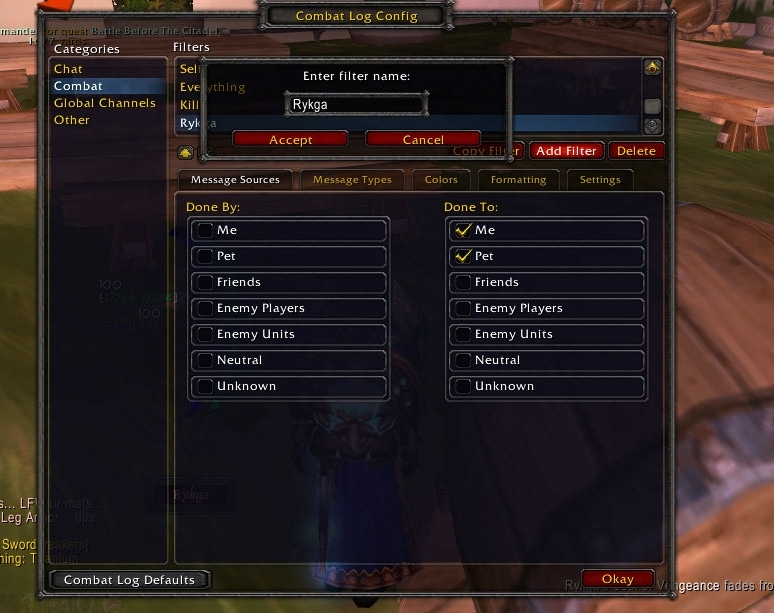 I never stopped to think on how to use the combat log outside of a raid context. Thank you for the suggestion! This was a great post! I personally use Eavesdrop for my combat log needs (I can get it a bit smaller, and I find it much easier to decipher than whole sentences of text). That being said, next time I hear “How did I die,” I’m sending that raider here. Hehehe. 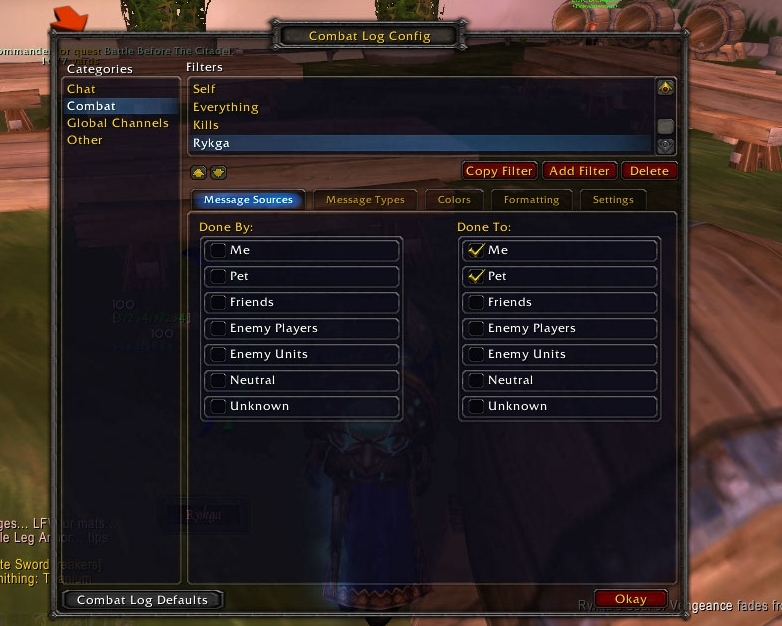 Teh combat log: telling people how they died since the beginning of WoW.